Our in-house magazine, Branding & design, is a successful biyearly publication containing a range of features and editorials surrounding the fashion industry. Here we take a closer look at one of the articles – TOMMOROWLAND. Created by brothers: Michiel and Manu Beers; Tomorrowland is an electric dance music festival held in Boom, Belgium. Spawned by the brothers’ joint passion for music, the festival aims to not only bring people together, but create a community for people with a shared love for music. Take a look at an excerpt from the magazine below – or read the full article on issuu here. Everyone who wants to bring a community together, knows it is far easier to do this by enveloping the in the fabric of a story. Tomorrowland is not just a music festival – it is a universe, with its own origin story, fantastical characters and ever-changing storylines. Each year is a surprise, an introduction to a fantasy world that is all encompassing, right down to the smallest details. From the bracelet visitors wear to the costumes of Tomorrowland employees, from the impossibly intricate background decors to the animation that seems to be everywhere, all the time. Festival goers are as delighted by the pauses between the sets as by the top DJ’s taking the stage. 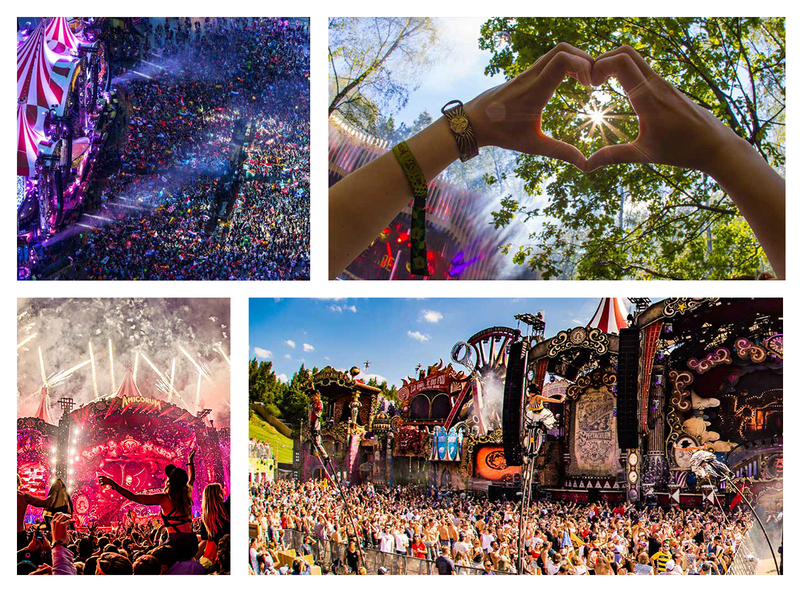 Since 2010, Nilorn has played a significant part in the way Tomorrowland spreads each story to its community. There is not a single moment of contact between Tomorrowland and its visitors that has not been carefully thought through and specifically designed to leave an impression. There are thousands of YouTube videos showing the unboxing of the gorgeous bracelet and ticket, which arrive by mail in a special treasure case with lots of little extra goodies that slowly unravel the story behind that years edition of the festival.